Billing systems are payment gateways that you can activate to accept payments from your dating website members. Payments section (/admin/payments/index/) helps you manage all things payments – switch on billing systems, view/approve/decline users’ payments, set up website currency, and manage paid services and memberships. The following 13 payment gateways are pre-integrated so you only need to activate them with your merchant details: CCBill, 2Checkout, Authorize.net, Fortumo, Paypal, Paygol, Pencepay, Robokassa, Skrill, SMScoin, Webmoney, Google Wallet, Stripe. There is also a way to accept payments offline (wire transfer, cash, etc.). How many payment systems are available in your site depends upon the license package, please review the comparison on the pricing page. If the payment system is not listed on the page, check Install tab (/admin/payments/install) to see if the system needs to be installed first. To do that, just click the button. You can accept offline payments by cheque, money order, bank transfer, or instant money transfers like Western Union and the like. 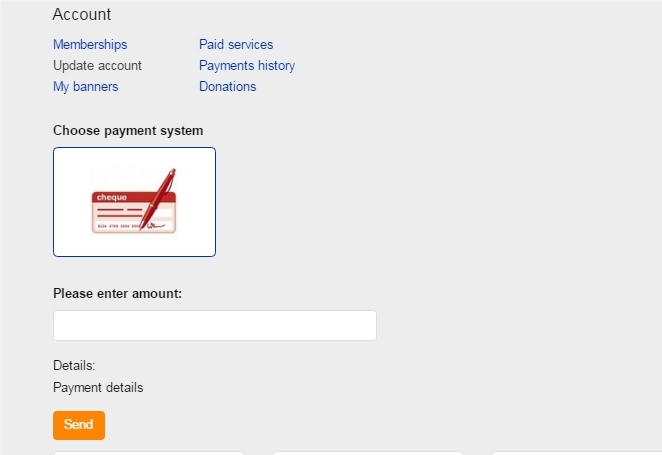 To let your site members know how they should send you money, go to edit offline payment page (/admin/payments/system_edit/offline) and in the ‘Details’ field insert all the required info, for example your bank account details or an address for instant transfer. The feature supports all site languages, which means that you can post unique messages for every language on the site, and, say, accept bank transfers in English-speaking countries, Westen Union transfers in Spanish-speaking countries, and so on. 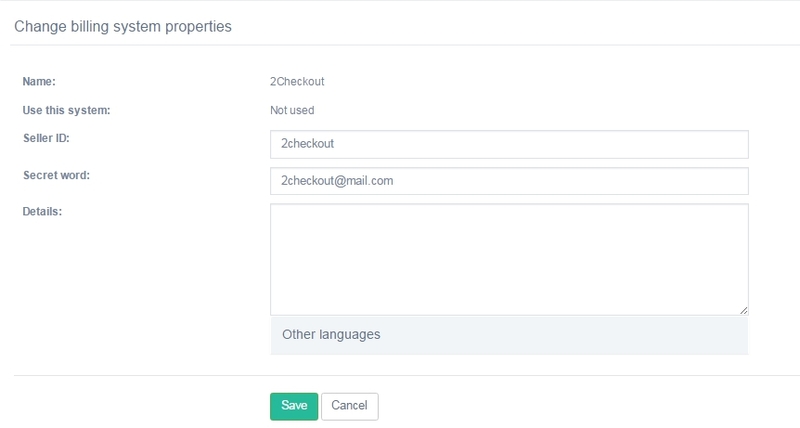 After the site member submits information about the payment, you as site administrator will be able to view it in section Payments > Payments (/admin/payments/paymentsList/). This is the list of all incoming payments: approved, declined and awaiting approval. After you receive the money and approve the transaction manually, the money will be added to the site member’s internal account, or a service/membership will be paid for. 1. If you are interested in adding any other billing system to your site, our Customization team will gladly help. 2. Please make sure that the payment system that you want to make active on your dating site allows payments for high-risk industries that online dating may belong to.